UK developer Sumo Digital has opened a new studio in Leamington Spa dedicated to mobile games development. As reported by GamesIndustry.biz, the company’s seventh studio will be headed up by Chris Southall as studio director. He previously founded another local Leamington Spa developer, Sega Hardlight, which worked on the likes of Sonic Jump and Sonic Dash. 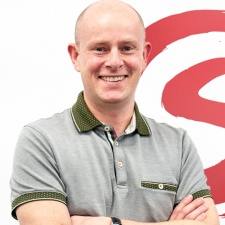 "The mobile game market is growing at a faster pace than PC and console, and it's a section of the interactive entertainment market that Sumo doesn't currently focus on significantly," said Sumo Digital MD Paul Porter. "It has matured over recent years, with established business models and more opportunities to engage with publishers which aligns with Sumo's core business, so it's a great opportunity for us to broaden our development services."